Refunct is a very peaceful and simple first-person platformer where you're not really guided by anything but your senses, it's odd, yet refreshing. It also throwns in some Parkour – because why not. You are literally thrown into the game as soon as you load it, without any kind of explanation and tutorial to guide you. Style wise it is rather simple, but it's quite beautiful and calming at the same time and it's a fun experience. It even had some really great lighting going on with the sun actually moving around! You must be logged in to see this section! If you don't manage to get a key, don't fear! It's super duper cheap on Steam at £1.99 and it's on sale for a few days too so it's even cheaper right now! 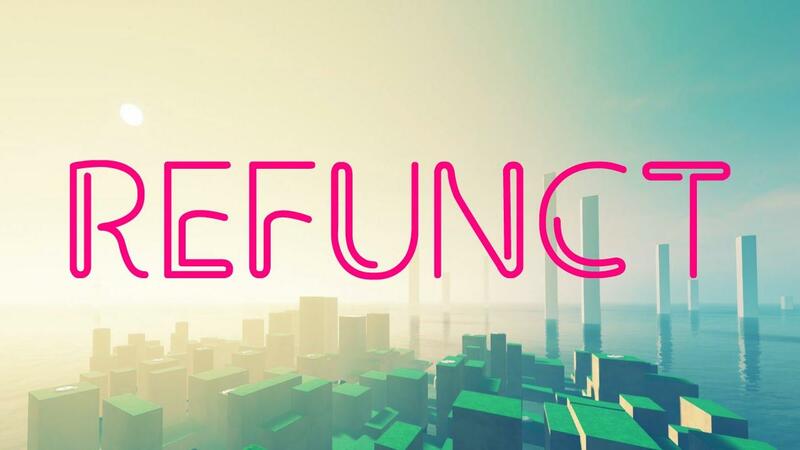 Go find Refunct on Steam. Grabbed key one. Been following you on Telegram a while. Thank you for the key! I have been enjoying keeping up with gaming on Linux. Though I am sad about Witcher 3. Ugh. Not your fault ofc. Anyway, keep up the great site and great communication to the community! too late other money for u gaben!! I picked up a copy yesterday. It's only $1.50, quite relaxing, and an easy 100% achievements. It looks nice, but ~20 mins of gameplay? Many if not most free demos take longer to complete. I'll probably buy it anyway at some point. tuubi It looks nice, but ~20 mins of gameplay? Many if not most free demos take longer to complete. I'll probably buy it anyway at some point. Is it actually? Seems very cheap, but won't buy it for less than 1 hour of gameplay!